No matter which way you go with your build, Anderson Ford Motorsport can help. We don't just sell parts, we've been racing Mustangs since the late 80s, and we know what works. BBK Performance cold air induction system for 2011 - 2014 5.0L Mustang GT and Boss 302. BBK Performance cold air induction system for 2011 - 2014 5.0L Mustang GT and Boss 302. Blackout Series. BBK Performance Cold Air Induction System for 2010 Mustang GT. Chrome Finish. The S-197-based Mustang got a styling refresh in 2010. It still had a retro look, but the changes helped reduce the car's drag coefficient. Minor revisions to the SOHC three valve per cylinder V8 brought power up to 315 hp and 325 ft-lbs. of torque. The 2011 may not look much different on the outside from the 2010 model, but there was big news under the hood: after 15 years as the Mustang GT's engine, the 4.6L Mod motor was replaced by the new Coyote V8. This engine was designed to fit in the same space as the old motor while delivering enough power to keep up with Chrysler and GM's new V8s. The result is an engine with pretty much every feature one could want from a performance motor straight from the factory. Displacement increased to 5.0 liters by increasing bore and stroke, while a webbing-reinforced block provides strength without adding much weight. Port injection was chosen over direct injection to keep weight down, but Ford was still able to design a fuel system that could handle the engine's 11.0:1 compression ratio on 87 octane gasoline. New twin cam heads with variable cam timing (Ti-VCT) paired with factory headers help the engine deliver 412 hp and 390 ft-lbs. of torque. To both handle the added power and to improve fuel economy, the car got two new transmissions: The Getrag MT82 6-speed manual and the Ford 6R60 6-speed automatic, based on a ZF design. Despite a massive leap in power, these cars deliver the same fuel economy as the old 6-cylinder Mustang. Put it all together, and you have an engine that delivers massive power from the factory, but is strong enough to go much further with modification. 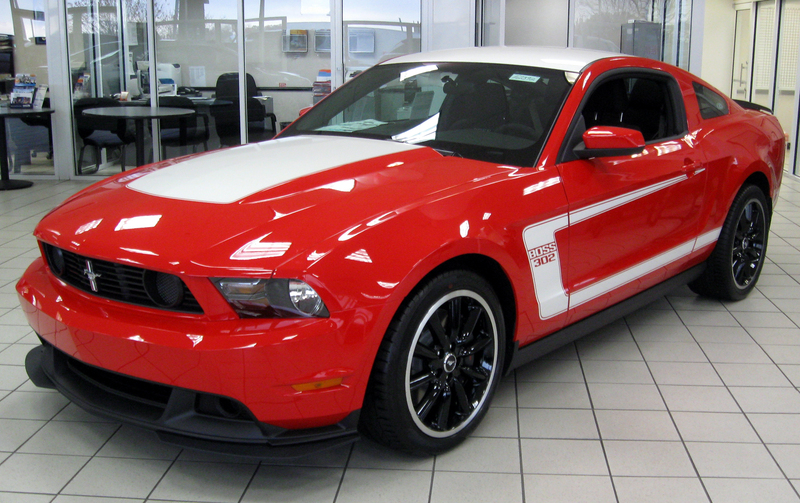 In 2012 and 2013, Ford offered the Boss 302 package on the GT. A better flowing intake, forged crankshaft, CNC ported heads, and revised camshafts increased power to 444 hp and 380 ft-lbs. of torque. Where do you go with an engine as powerful as the Coyote? We've found that the suspension can be a limiting factor when getting power to the road, which is why we include upper and lower control arms in our Stage 3 performance package. Have a 4.6 liter? We've been working on these motors since they came out, and we offer plenty of ways to get more power out of your engine. Looking to put a Coyote in an older Mustang? We sell Ford crate engines, including the "Aluminator," built by Ford Racing to work with superchargers. We also have their control packs, letting you run the engine without having to deal with the stock ECU's notoriously difficult anti-theft system.